The condo was just as pictured! Very clean and nice great view! We only got to stay 2 nights... because of hurricane Michael the company refunded our money with no questions and was so nice and out it. My only complaint was the elevator &#xD83E;&#xDD28; it was terrible. I did not think it would be that bad in October but I was wrong.... but over all great two day stay! When we arrived everything was great with check in because it was all in our room and done for us. My first complaint would be the elevators. To say they were horrible would be an understatement!! The room was clean and Four Stars Condo was great. As for the rest of the issues... the bathroom toilet in the bedroom needs to be repaired. I didn’t like having to stand there to make sure the water tank filled up and the toilet shut off. In the bedroom the air does not cool that room very well at all. They have a portable air conditioner but the plug was messed up on it when my husband went to plug it in so that was unusable. Also the kitchen would be great if it was better stocked. I didn’t like having to go buy pots, pans, knives, tea jug, and spatulas to use while on vacation. I didn’t need those items at home but now I have more cookware to add to my collection. 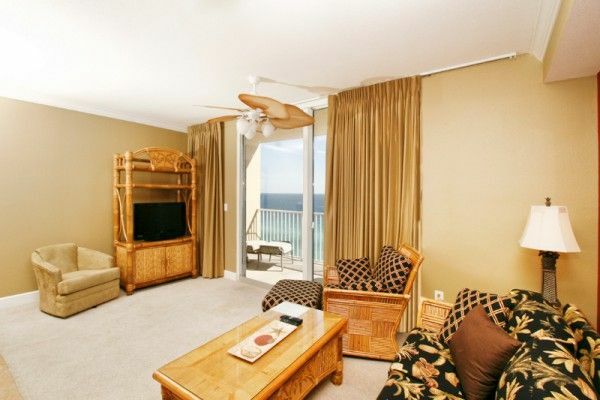 This is just my opinion but if this were my beach condo I believe I would rip the carpet up and put down tile thru out the condo because it is easier to clean and you don’t have the spots that comes with carpet that looks dirty. This was our first time at Tidewater but for a long weekend trip it was alright. The elevators most likely would be what keeps me from returning.